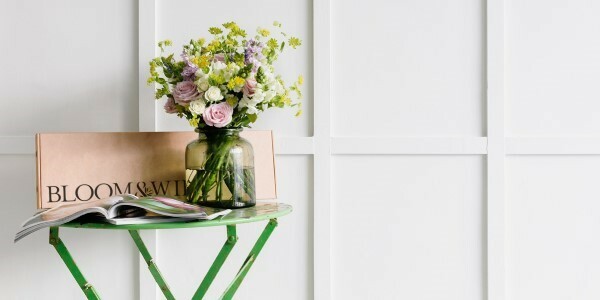 Sentio Insight has provided financial due diligence to Piper’s £11m investment into Bloom & Wild, the online flower gifting brand that is disrupting Europe’s £14bn fresh cut flower market. Founded in 2013 by Aron Gelbard and Ben Stanway, Bloom & Wild has transformed the online flower gifting market, pioneering the concept of ‘letterbox flowers’. Its offering allows customers the ability to gift beautiful, high quality, long-lasting, fresh flowers in a convenient slim box that fits through the receiver’s letterbox. More than 50 million flowers have been shipped to date across the UK, France and Germany. Piper’s investment will fuel further growth for the business which has doubled its revenue year on year since 2016 and is set to do so again this year. Piper’s research showed that customers ordering from Bloom & Wild love the curated choice of beautiful, British designed bouquets and collaborations with the likes of Liberty print (launching this autumn) and Nikki Tibbles’ Wild at Heart. The brand’s app has been heralded by the App Store for its innovation in the gifting space. Recipients of Bloom & Wild’s ever-changing bouquets enjoy the modern, fresh look of the flowers, the fun that comes with arranging the stems themselves and the joy of watching the flowers bloom. The award-winning letterbox packaging adds an element of surprise for the recipient – each stem is packed lovingly by hand and flower buds are individually netted with petal protectors to cradle the flowers in transit. The flowers are delivered in bud so they bloom over time and last longer than other bouquets. Piper have invested alongside existing angel investors, MMC Ventures and Burda Principal Investments. This new investment, the brand’s largest yet, will enable Bloom & Wild to focus on two key growth strategies – to become the UK market leader in flower gifting and to continue its rapid international expansion trajectory in existing and additional European markets. It is the fourth investment from Piper’s sixth fund, Piper VI, which recently closed at £125m. Aron Gelbard, founder of Bloom & Wild stated: “The Piper team have long been supporters of our business and have always sought to help us on our journey. Their skills will be invaluable in helping us to fulfil our ambition of being the world’s most loved flower gifting brand, both in the UK and Europe”. Ian Robinson from Sentio Insight provided financial due diligence to Piper.